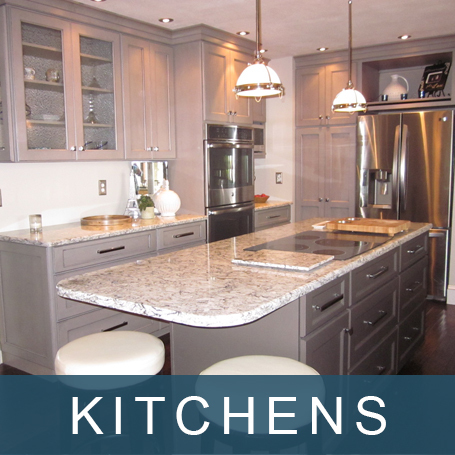 At Kitchens by Diane, we have the experience to guide you through the most challenging arrangement to arrive at a design that works for you and your family. At Kitchens by Diane, we have carefully chosen our team to cover every detail of your project from initial drafts to the finishing touches. A combination of creative designs, innovative solutions and meticulous attention to detail are just some of the ways we guarantee our clients satisfaction. 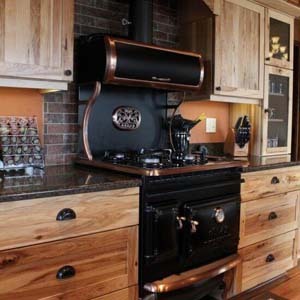 Diane Feuillerat has been specializing in the design of unique kitchens, baths, libraries, offices, entertainment centers, laundry rooms and beverage centers for more than 30 years. 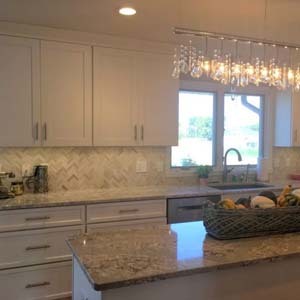 She has completed over 1200 new and remodeled kitchens in the Rockford and surrounding areas including many out of state projects since the start of her career in 1978. The excitement of her satisfied customers keeps her committed to the profession of kitchen design. 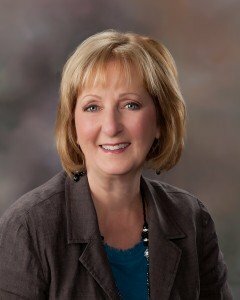 Diane Feuillerat and her team have been specializing in the design of unique kitchens, baths, libraries, offices, entertainment centers, laundry rooms and beverage centers for more than 30 years. Each project begins with a conversation to determine what your needs and dreams are for your project. Diane then draws up a plan, incorporating all of your ideas and dreams into the design with revisions to the initial design as needed. We will ensure that your 3-D drawings, using industry standard software, will make your dreams take life and form. When the cabinets arrive, Diane works closely with the installer to ensure the project is completed per the approved designs. 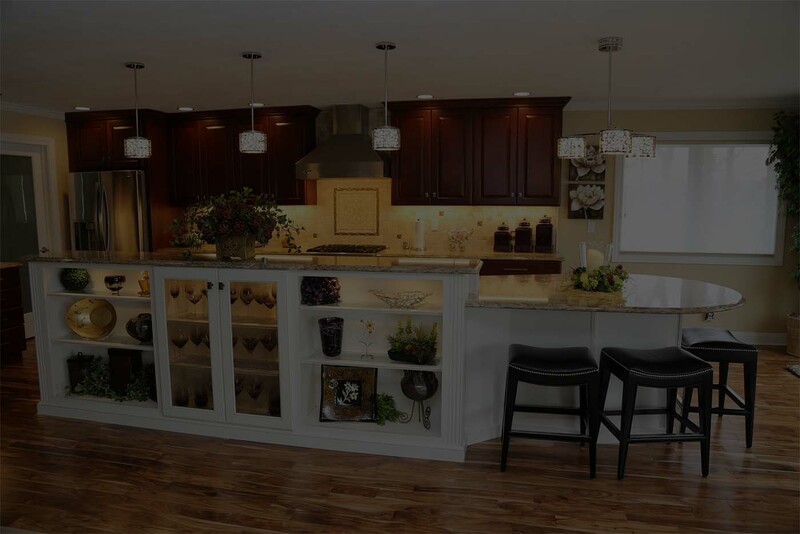 After counter tops are installed and the finishing touches are completed, you will see the plans transformed into the beautiful space you dreamed of! The soffits are gone, so you have more cabinet space, topped off with a beautiful but simple crown. It adds such a nice finishing touch, doesn’t it? The square valance was replaced with a nice arched valance. The refrigerators are getting taller and you have to make accommodations for them, so the soffits were removed. This allowed for a cabinet to be above the refrigerator. The cabinet is now 24” deep and to give it a beautiful touch and a built-in look, a panel was added. Look at the difference! There is a lot more cabinet storage space by removing the soffits. Changing the design from a peninsula to an island design greatly increases traffic flow. This also added 2 more places to sit and eat. “Just wanted to take a moment to tell you much we are enjoying our new kitchen. 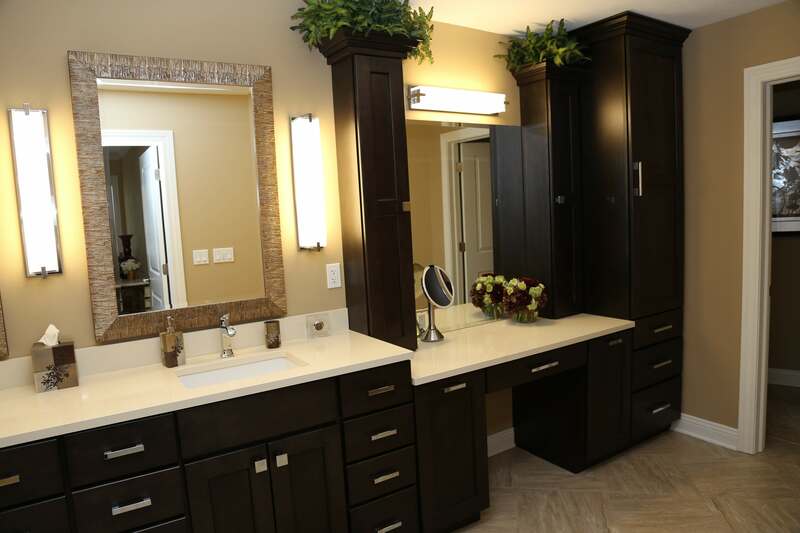 With your expertise and guidance, we finally have a design that is now more functional for our needs and reflects the beauty we envisioned for our home. All of our friends and relatives are just amazed at the transformation and tell us that it looks like something from a magazine. Thank you for your help in bringing our dream to a reality. Hello Diane, I finally made it to the house this morning to see the results. I love the look and feel even without the countertops and all the appliances in yet. This time next week the countertops should be in place along with the rest of the appliances and fixtures. Thank you for your ideas and planning on the design and bringing to life what we discussed…. I am really looking forward to cooking again. I am very, very, very happy with the results. The end results far exceeded my expectations!!!!!!!!!!! The guys did a great job with the install of the cabinets… I will most definitely recommend anyone who listens to work with you. I cannot image trying to do this with Home Depot. 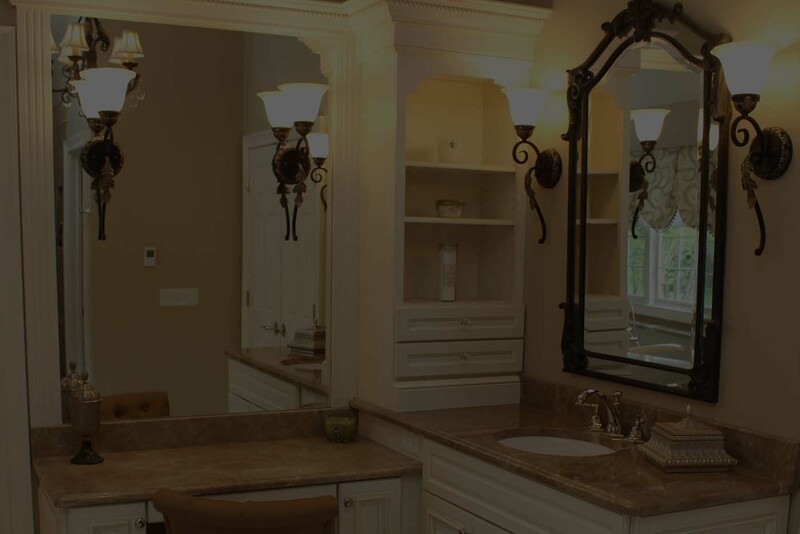 I am glad that Kim from across the street decided to work with you… If any of your clients would like to see a Grabill kitchen and/or the San Domingo finish, you can give me a call. 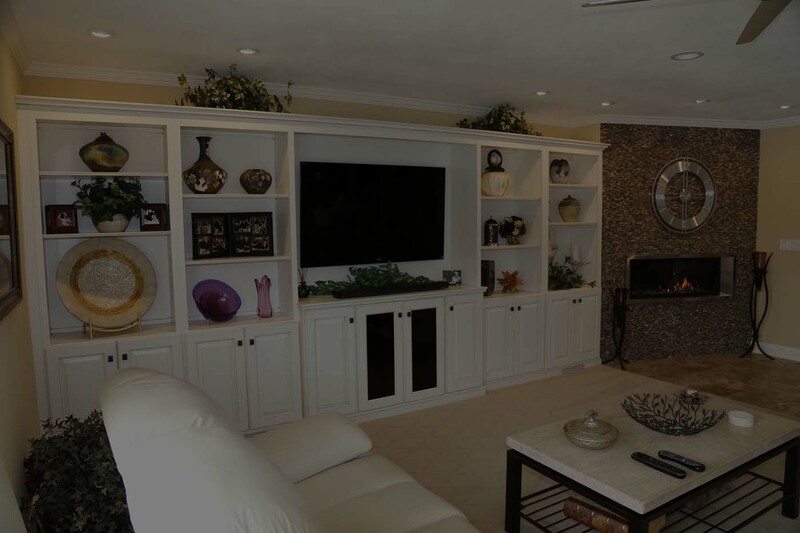 Working with Diane on my kitchen remodel was so painless, I didn’t hesitate to call her when it was time to remodel my basement living space. I am loving my new kitchen! It still feels like a dream. The tile looks great, including the horse tile insert. We wouldn’t change a thing! It’s been a pleasure working with you. Thank you so much. Thank you Diane for helping to make our kitchen a dream kitchen. We so appreciated your expertise on the design of our kitchen. The kitchen cabinets are beautiful they go with the style of our house. 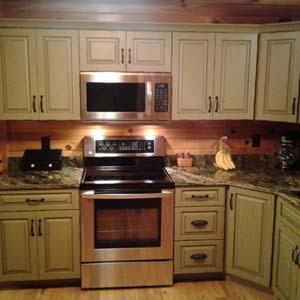 I can’t say enough about the quality and workmanship that went into these cabinets. 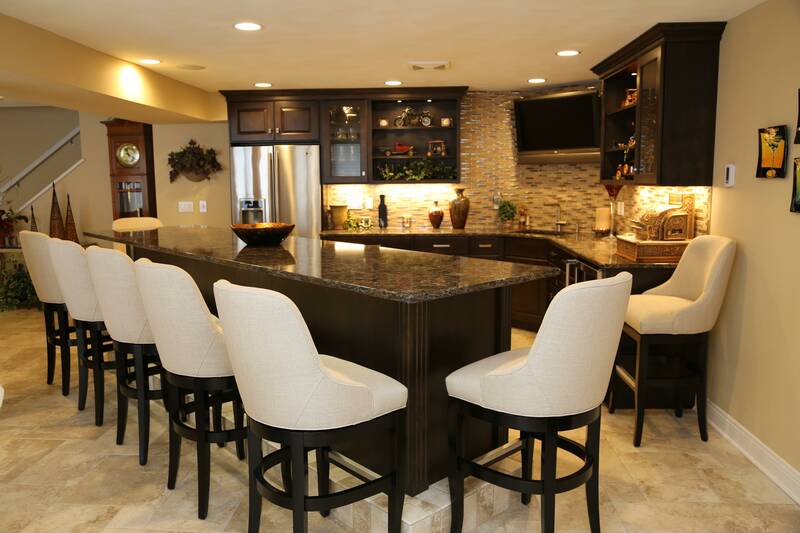 We just love the quartz counter top. We certainly appreciate you helping us make sure it matched with our kitchen cabinets. We like the way you designed where to locate our Island. It is so usable now. Dennis and I are so happy we went with Kitchens by Diane. We just want to say thank you and we will highly recommended you to anyone who might ask us where we purchased our cabinets and who designed our kitchen. Thank You, P.S. Dennis and I enjoy the kitchen so much we very seldom go out and eat anymore. I was so impressed and grateful to everyone involved in our remodel. Diane has put together a great team. Living in my new kitchen has renewed my joy of cooking. Thank you! A big, bright, roomy kitchen. I love it. Thanks Diane!! Thanks, Diane! We love our new kitchen. Working with you has been a wonderful experience. 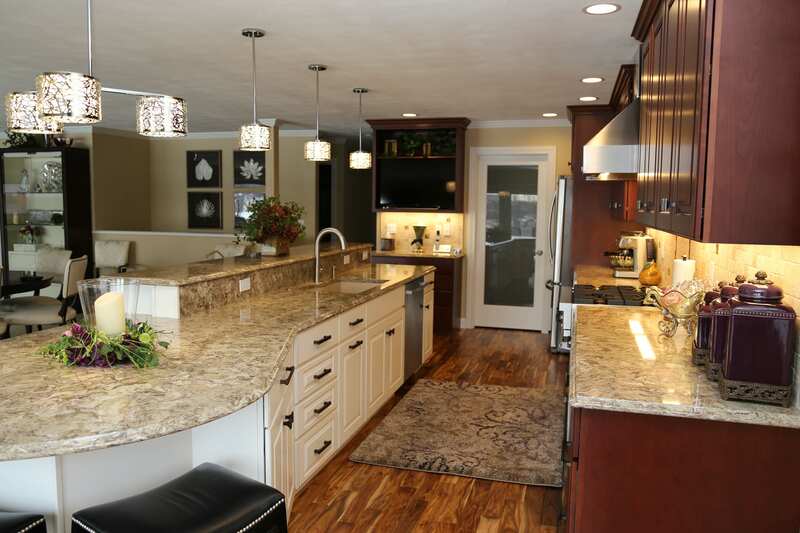 With your guidance, the cabinetry and quartz counter tops are beautiful. You helped create the kitchen we were looking for. We so enjoy the island and looking out our big picture window to the backyard. You are an excellent designer with a personality that is the best. We loved working with you and all your staff. Thank you for all you did to make it happen. We’ve received such nice compliments! We are very happy with how our kitchen functions for our family! It’s always neat when someone stops over that hasn’t seen the kitchen! The single most complimented feature of our new kitchen we receive is about the cabinets!! While I love the kitchen overall, the cabinets (in close competition with the granite) are my favorite! Way to go, Diane!! My friend advised me to always listen to my designer, and I did! We’re so glad John Shipley recommended you! 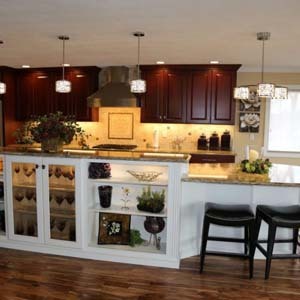 What a great combination of quality remodeling and quality kitchen planning and cabinets. I’ve been dreaming of a new kitchen for 38 years and I’m happy to say I couldn’t have found a more willing, friendly staff to work with. It made my experience a joyful one! I never felt lost in the shuffle. Received many compliments on the kitchen from our Thanksgiving guests. We appreciate all you have done to help make our new kitchen a reality! I had a wonderful experience at Kitchens by Diane. She was always helpful and easy to contact from start to finish. Everyone I ever spoke with at the showroom was very friendly. Diane was very knowledgeable and knew just what style I was looking for. I’m very pleased with our new kitchen. The overall shopping experience with Kitchens by Diane was the best. We love our kitchen. The pictures on your website show how beautiful and functional the kitchen is now. Wouldn’t it be a terrific world if you could buy something, be very pleased with your purchase and fifteen years later be able to have that Company still in existence and able to assist you further? That has been our experience in working with Diane from Kitchens by Diane. Not only did Diane marvelously design, rearrange and transform our farm kitchen, but everything she said would happen did happen with caring and class. Diane really read our desires very clearly and created a kitchen that was far more than we ever expected. Throughout the years, Diane has been available to us as we upgrade again or have to find replacement parts for certain items. Diane’s Company could well be renamed “Caring Service with Quality Products.” Diane treated us as family from beginning to end. What more could you ask for? I had a great experience working with everyone at Kitchens by Diane. My emails and phone calls were always answered in a timely manner. We were impressed with everyone from the cabinet installers , the plumbers, the counter top crew. the tile installers, etc. Everyone was so professional and friendly. We love our kitchen – we receive so many compliments. We would highly recommend your company to others. Thank you! Everything from beginning to end was perfect! Diane was available when I had a question. You are the best designer! I’m so glad I came back to you after using you 20 years ago when building a house. I didn’t even look around, I came straight back to you and AGAIN everything was perfect! Your staff is so pleasant and the showroom is beautiful. I couldn’t have asked for better service. We appreciate (and love our cabinets) everything you did for us! We love our new kitchen! We were concerned about the size of our kitchen because it is much smaller than we were accustomed too. With your guidance the results are exactly what we were hoping for. 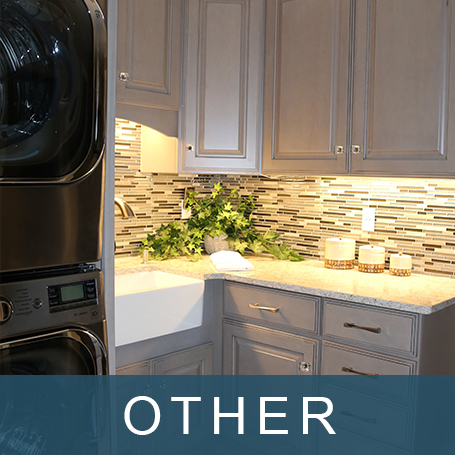 Your suggestions to move the appliances made such a difference and the quality of the cabinets is just great. We are ready to start the remodel on one of our bathrooms and we will be contacting you soon. Thanks for everything. Absolutely gorgeous! It is all looking fabulous. 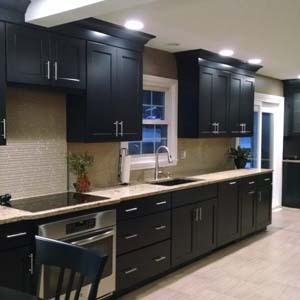 [Sean Adams Builders] is very impressed with how well the cabinets are made. I am extremely glad you are on our team. We are soooo proud and happy with your part of making our dream come true. I REALLY appreciate your customer service on making sure I am happy! I just wanted to tell you how wonderful your staff has been. Anytime I would call with silly questions, they would have the answers and make me feel not so silly! Please thank them for their patience. Thank you! You were so helpful. I dreaded the job of picking out countertops, cabinets, backsplash, etc, but the two of you made it easy. Scott was also a true gem. I was worried about having men in my home everyday for weeks – but he was great and is now almost a member of the family! Hats off to all three of you!! Diane, We appreciated your knowledge of the latest products and styles. You were helpful in every way. We love it all and our experience was wonderful in every way. Diane, You and your staff did an excellent job. We can’t tell you how much we LOVE our new kitchen. Thank you for your beautiful design and for the great job you did. We could never have done the project on our own. We have done a lot of entertaining over the last two months and everyone has loved the new layouts and finishes. Thank you! Thank you so much for helping us with our kitchen design. We love the new kitchen. Everything went very smooth and we couldn’t be happier! If you’re in the neighborhood, stop by and take a look – it could be in a magazine!!! Thanks again. I really appreciate Diane’s patience in helping me find what I wanted, also in sharing me alternatives, when I, of course, picked the priciest. I never felt rushed to make a decision and Diane was always available when I had questions or got back to me in a timely manner. Thank you sooooo much! Working with you made everything easy and gorgeous. I will send you some pictures for sure when we get organized. The middle of November will be our move in date. Can’t wait!!!!! Diane listened to what I wanted, asked all the right questions and then hit a grand slam home run on the design. It met all my needs and wants, plus more!! Great experience working with Diane! From a General Contractor we work with: Everything fit as planned, a perfect fit, as usual. Love my new kitchen! I love my cabinets and the color! I appreciate all the design help from you and your staff. Couldn’t have done it without you! We absolutely love the kitchen and are very happy to have worked with you! 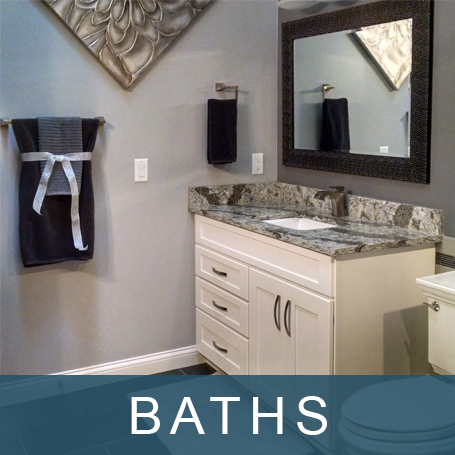 We love our new bathrooms and kitchen remodel! When we asked for help in coordinating everything, Diane and Tami were excellent with their advice. I spend most of my time in those rooms now. Can’t wait to entertain for the holidays! Evening and Saturday appointments are available upon request. Copyright © 2017-2018 Kitchens by Diane LLC. All Rights Reserved.